​Drywalldoc.com is the premier Tuscaloosa Dry wall and Sheetrock repair company for ANY Drywall damage restoration from Water Damage in ceilings and walls to Plaster repair, Ceiling Texture Matching of all types, Splatter and Knockdown Texture Matching, fist holes, even slicking Wallpaper without stripping and its guaranteed to look like wallpaper was never there. If you live within 20 miles of Tuscaloosa Alabama then your in luck when you fall through your ceiling getting into the attic, or when your air conditioner pan gets stopped up and causes ceiling damage, BTW it never happens at a convenient time. That's why we'll do Sheetrock repairs on the weekend if need be. Have a party and someone get thrown through a wall, yes we've repaired many of these before mom and dad get home. Rent a home or apartment and need your deposit back? call us to get your drywall fixed because its your money and you need it now! We can even paint your repair. 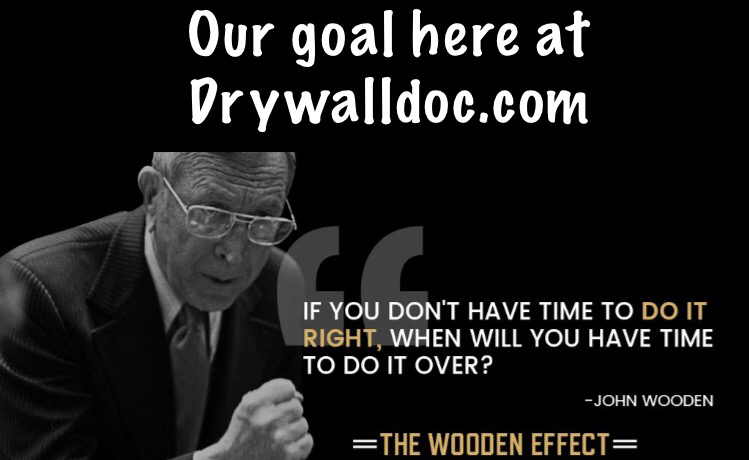 So don't go with the drywall company that has the moto of "If your Sheetrock cracks, don't call us back", no, no, go with the drywall doctor where our moto is "If your Sheetrock cracks, we'll be right back, for up to a year"
Commercial drywall repair specialist. Own a business or building a business and need drywall repair or metal stud renovation done? We have been doing commercial drywall repair and small framing jobs for over 15 years.